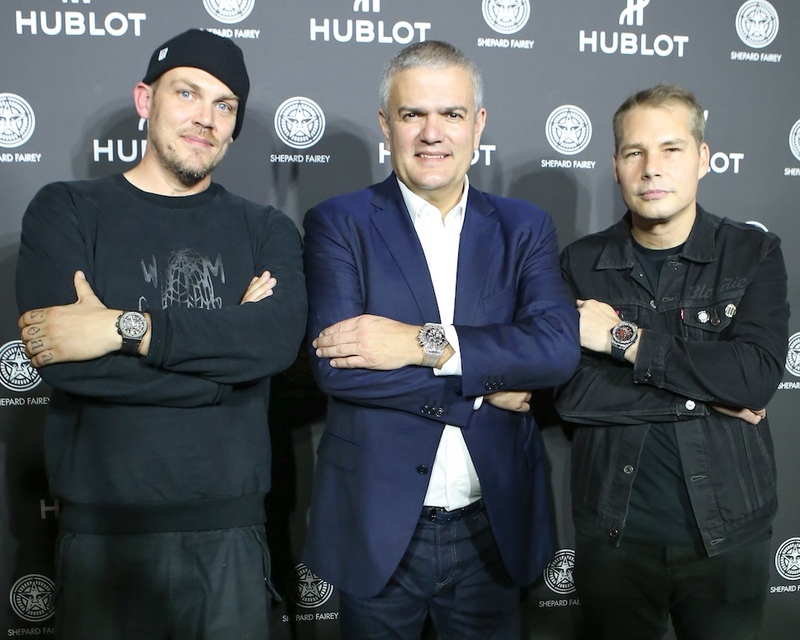 Hublot strikes again! 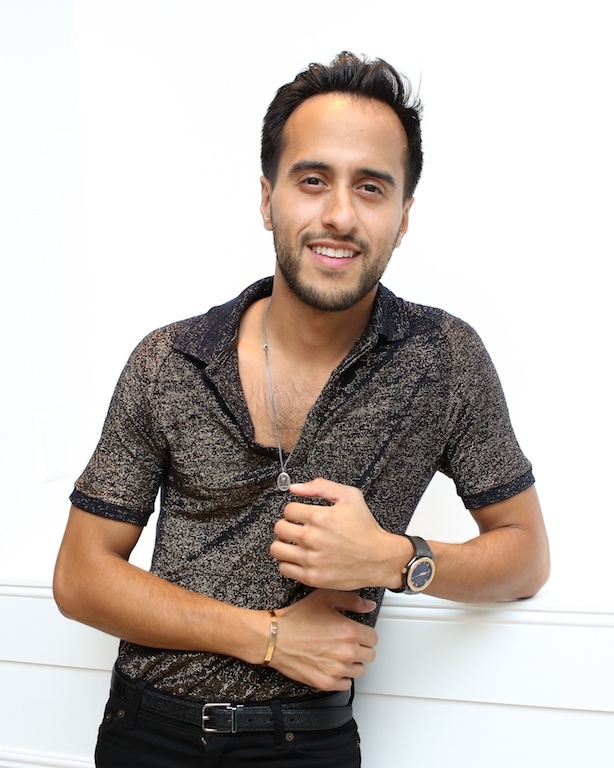 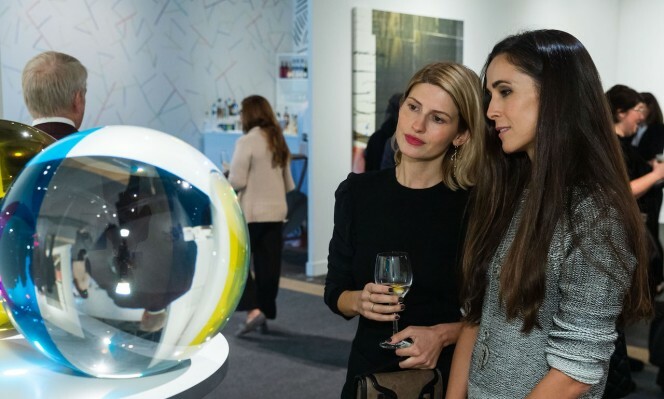 Launching yet another epic collaboration during Art Basel Miami Beach (this week! 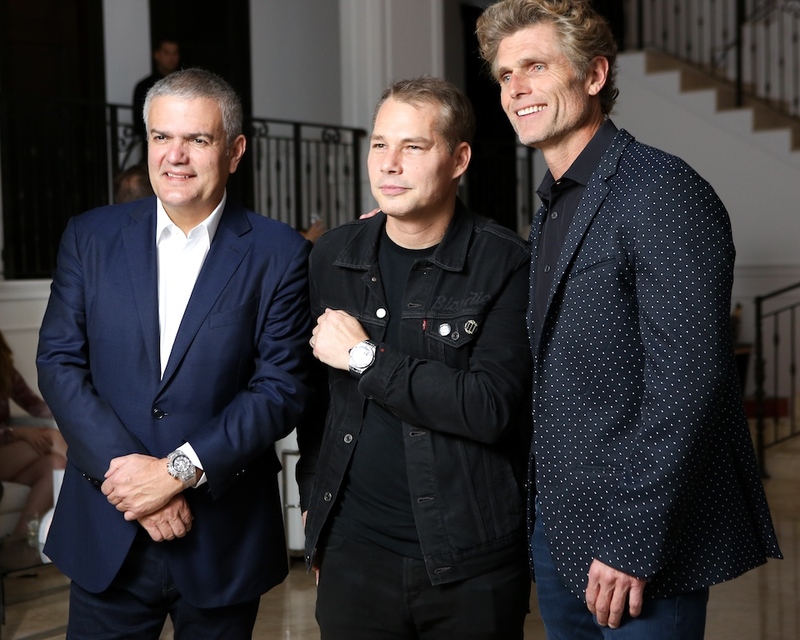 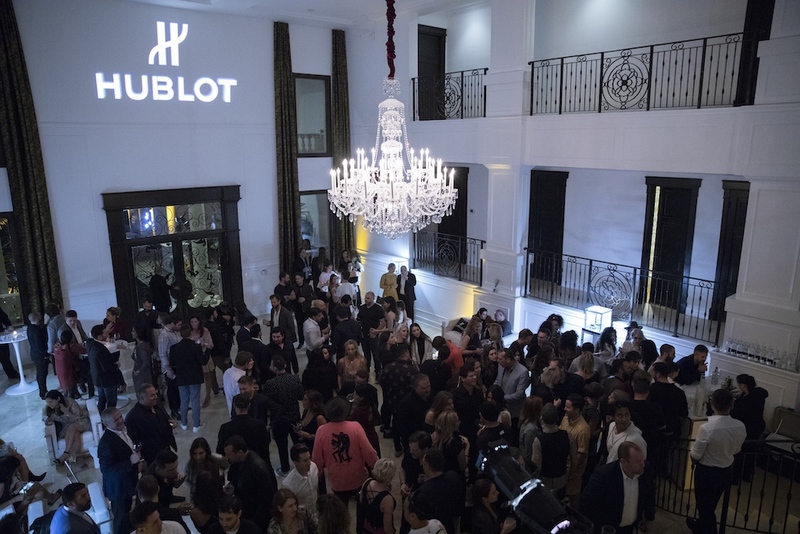 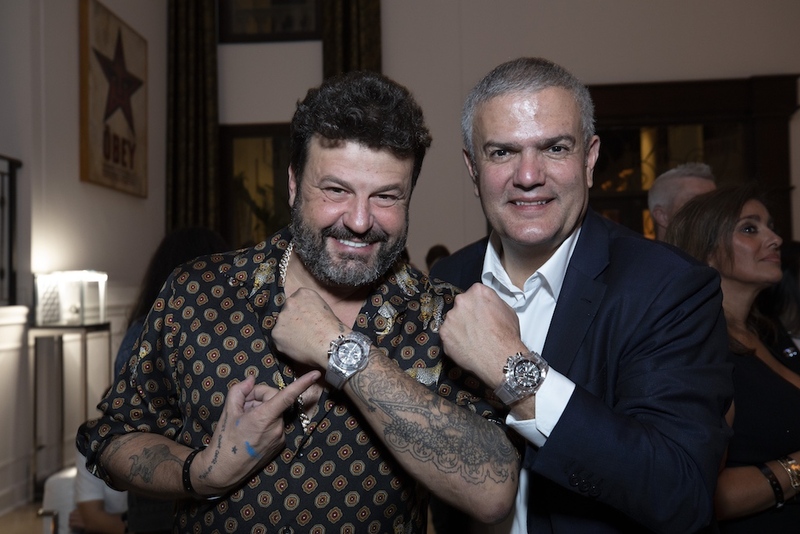 ), the luxury Swiss watch manufacturer—with the slogan “Hublot Loves Art”—debuted the Big Bang Meca-10 Shepard Fairey in sensational fashion. 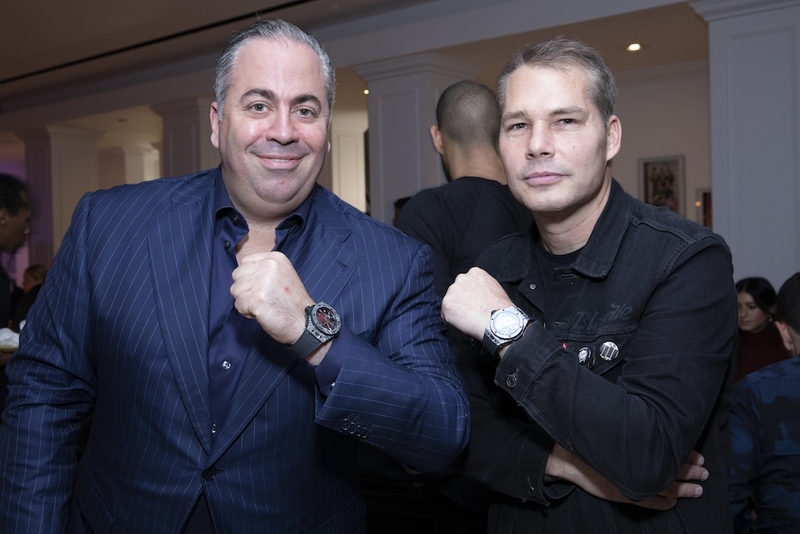 VIP guests enjoyed a private cocktail party, followed by an intimate dinner and art talk with some of the biggest names in modern art, including Shepard Fairey himself, street artist Tristan Eaton, photojournalist Martha Cooper and street art authority Evan Pricco. 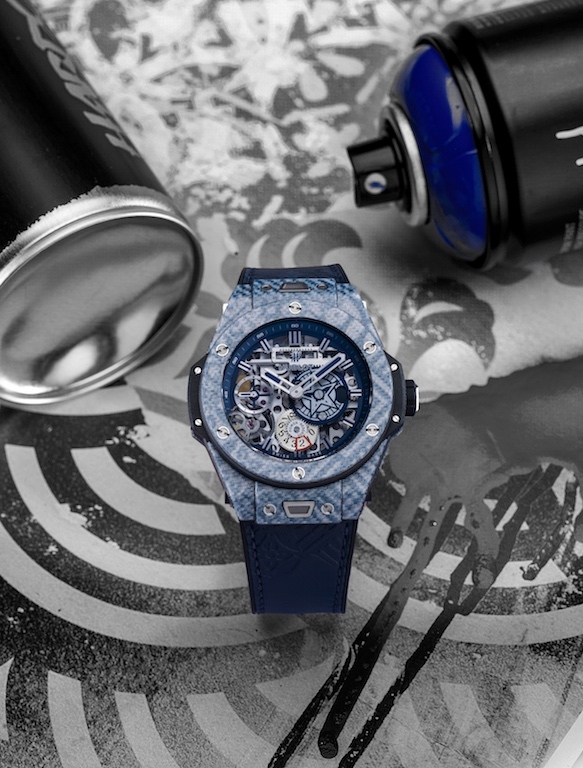 The Big Bang Meca-10 Shepard Fairey of course uses Hublot’s signature style with its in-house manual movement, a gear-driven mechanical aesthetic and a 10-day power reserve. 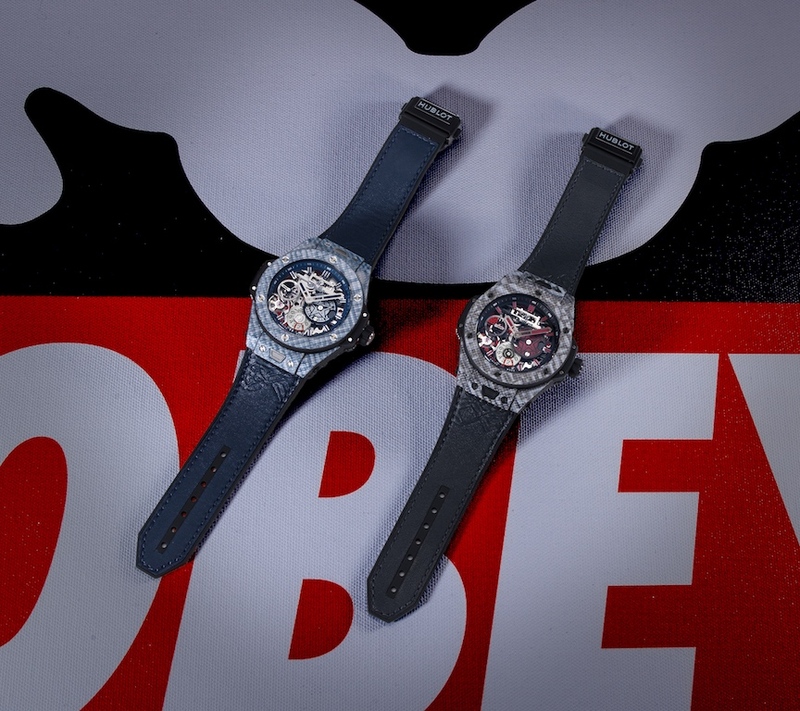 Fairey’s “STAR GEAR” logo is visible at 3 o’clock, making it also quintessentially, Shepard Fairey. 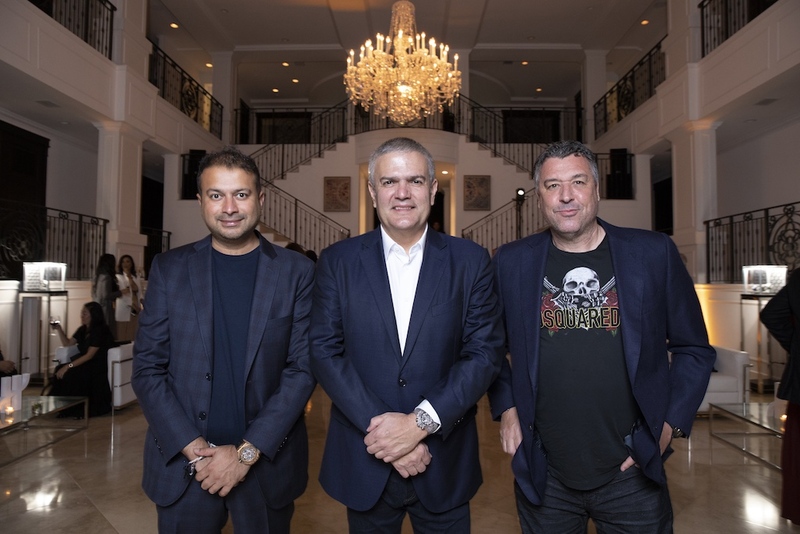 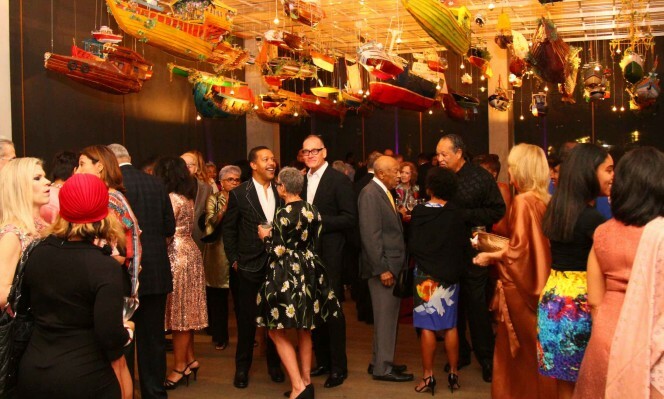 As guests arrived to the expansive, waterfront private estate currently on offer from Jeff Miller Group on Palm Island, they were greeted by flutes of Champagne and cocktails, as well as passed appetizers, courtesy of Zuma. 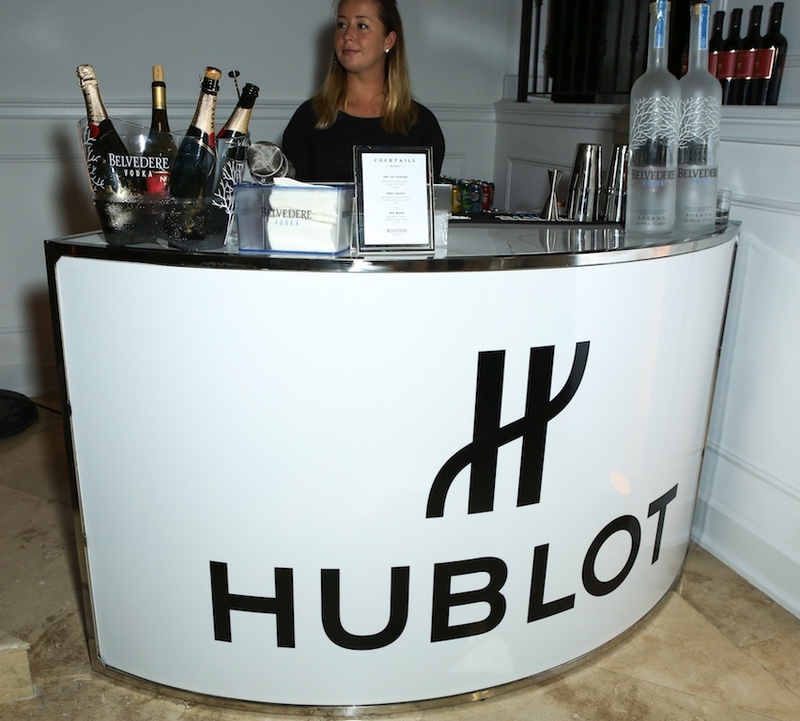 The gorgeous space also housed vitrines with Hublot timepieces, including Shepard Fairey’s creation with the brand. 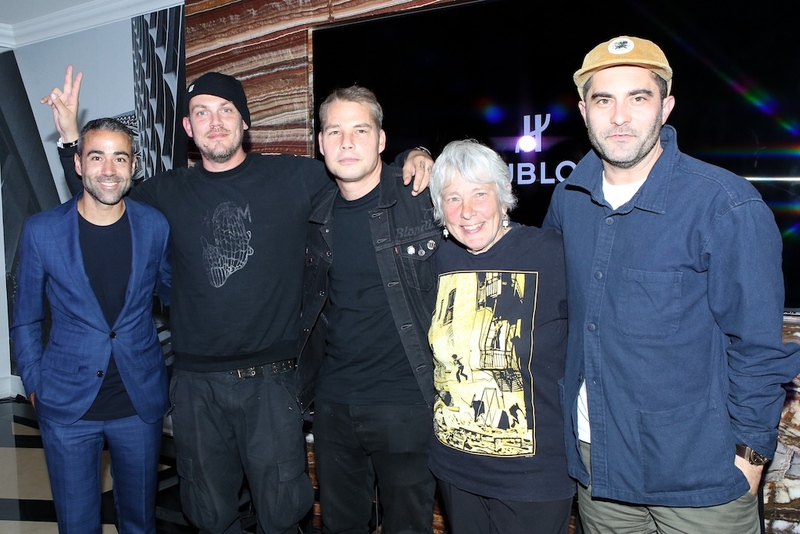 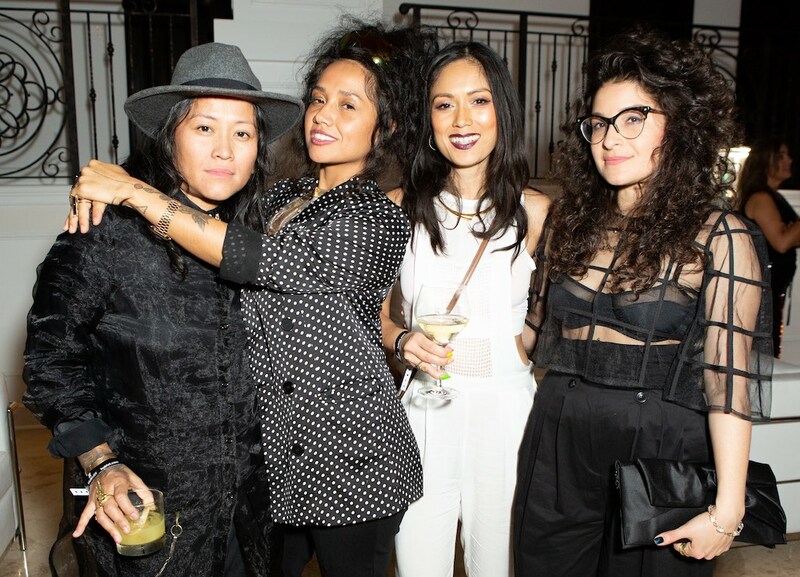 After the art talk with the panelists—moderated by Sberro himself, who provided compelling questions—guests enjoyed an exciting afterparty into the night, where Shepard Fairey provided the background beats from the third-floor DJ booth and specialty cocktails made with Belvedere Vodka.